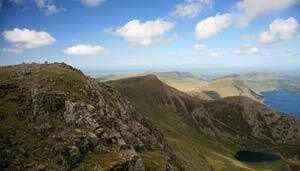 This challenge involves visiting the summit of 7 of the Lake District's mountains in one day - Red Pike, High Stile, High Crag, Haystacks, Dale Head, Hindscarth and Robinson. 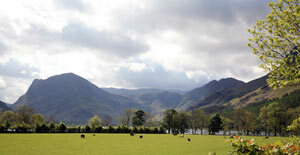 This challenge is a circuit of the mountains surrounding Buttermere. We start the challenge in the village of Buttermere and return to the same location at the end of the challenge. 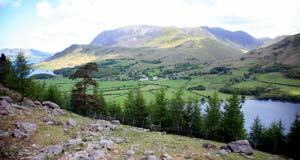 Buttermere is one of the most scenic valleys in the whole of the Lake District and you see the whole of it on this walk. It's not the most strenuous of walks on this site but it shouldn't be underestimated as it is challenging with one substantial descent and reascent. Preparation is key to successfully completing any challenge of this nature. 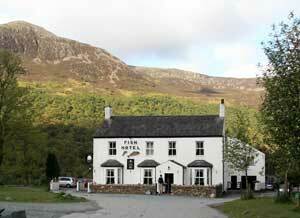 We start the challenge from the Fish Hotel in Buttermere village and our first objective is the group of 3 mountains that make up the 'High Stile ridge'. The first is Red Pike which we approach via Bleaberry Tarn. The High Stile ridge rises abruptly from the shores of Buttermere to over 2,000 feet, apparently vertically, and is a geologist's delight with hanging valleys, volcanic rocks and extinct volcanoes. We ascend from the shore of the lake through woods initially. When we emerge from the woods we are rewarded with a superb view that gets better as we gain height. We traverse the ridge over the summits of Red Pike, High Stile and High Crag with superb views down to Buttermere. We descend from the ridge to Scarth Gap via the steep and rather unpleasant path down Gamlin End. 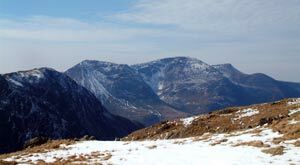 From Scarth Gap we then pass over Haystacks, the favourite mountain of Alfred Wainwright, the man who's name is synonymous with the hills of the Lake District. He wrote the pictorial guides to the Lake District that became best sellers and encouraged legions of tourists to descend on the region ever since. 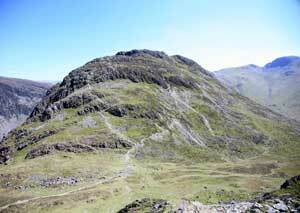 From Haystacks we head for Honister Pass where we can have a break and refreshments at the Honister visitor centre. Once refreshed we head for the mountains on the other side of Buttermere and ascend Dale Head directly from Honister Pass. From the summit of Dale Head you have views into the Newlands valley which is on the opposite side of this range of hills. 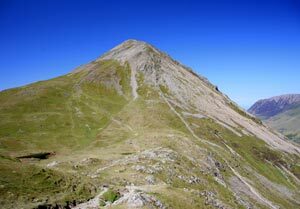 We head along the ridge to Hindscarth and then to Robinson before descending back to Buttermere village for some well earned liquid refreshments in the Fish Hotel.